The run was lovely by previous standards, no coughs or splutters or running hot or any odd noises. Then I hit a glitch as I pulled up to some traffic lights to stop, the engine died. 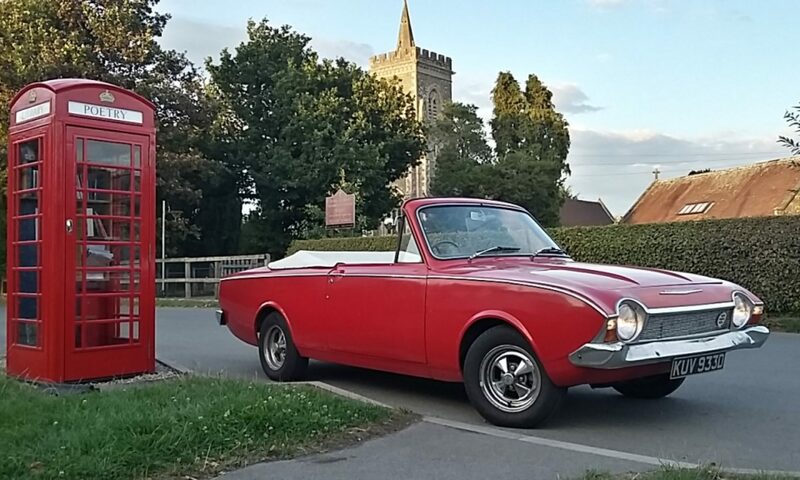 The Corsair re-started fine and I pulled into the Blandford Lidl car park while noticing several people taking notice of the car. Next, on to the pet store and the same again happened as I topped at the shop and the Corsair died and again later when coming away from Blandford when I had to stop at a roundabout. It wasn’t bothering me too much as the car restarted each time, but was it on my mind. The run back home was along the ‘Lower Road (A350)’ and a much slower affair as I caught up and followed a motorist, who barely went reached 40 mph, all the way home. As I pulled in to my driveway, the Corsair didn’t die and continued to tick-over without missing a beat. 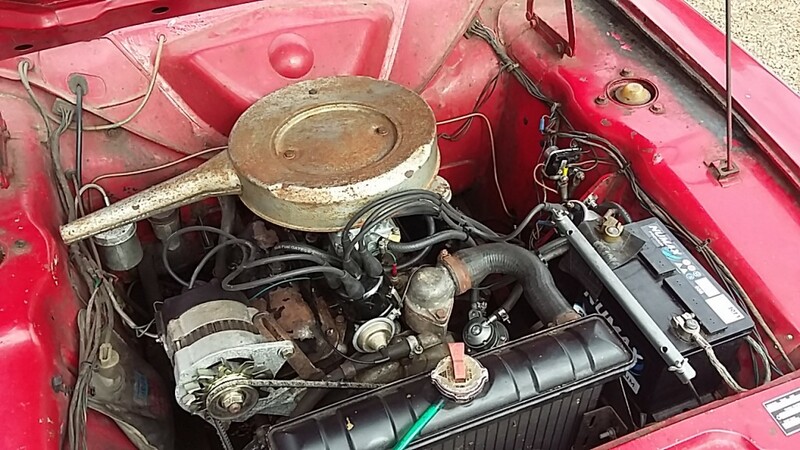 I got back to John with this info and he said he would drop by on Monday late afternoon to tweak the tune as he thought it could be running a bit too weak, hence the engine dying after a long running speed. Monday rolled around and John took out a spark plug to check the colour of which he was happy with, a light brown and not white, but he increased the mixture a bit more and and and adjustment of the idle screw too. That evening I took the Corsair for a run out to Tisbury and back home via Semley, stopping along the way to take some photos. Corsair at the side of the road Semley, Wiltshire. The big day loomed (Wednesday) when I took the Corsair to my place of work on Salisbury Plain. I was rather tentative on the day, but left at 7 am, stopped to add 20 litres of fuel (45 litre fuel tank) and away I went. The fuel gauge read just over half a tank which was nice and confirmed the gauge did work. Travelling up the A350, I wasn’t hassled by any other motorists for cruising along at about 50 mph and my main concern of pulling out onto a busy A303 never materialised either. 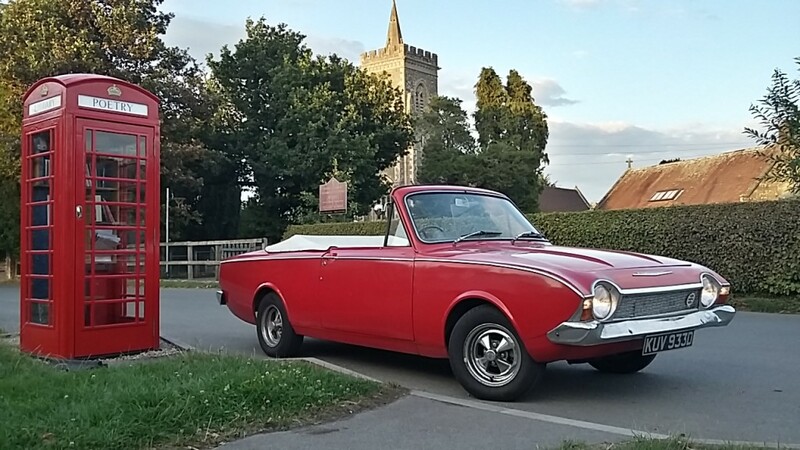 The Corsair continued to happily trundle along at 50-ish mph on the single carriageway sections and up to 60 mph on the dual carriage way, even overtaking a truck on one of the hills. There were no problems with any stops at junctions and I pulled in to work and switched off the engine with out any pre-ignition or over heating. Result! The car ran great and then I had to show it off to my work colleagues. 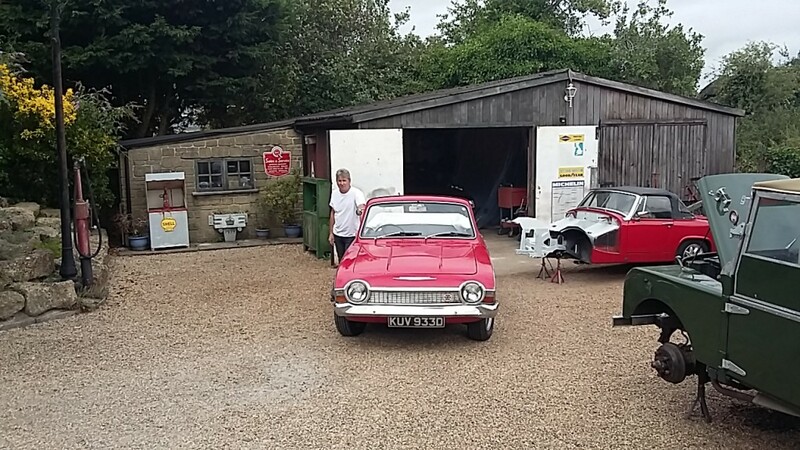 The run home was to go via John’s as he wanted to check the spark plugs and he made a minor increase adjustment to the mixture. All was good, I even got to overtake another slower motorist on my way there. The days travel was nearly a 60 mile round trip and was the furthest I had driven the Corsair in 18 years. Thank you John, you have restored my faith with the 52 year old car.